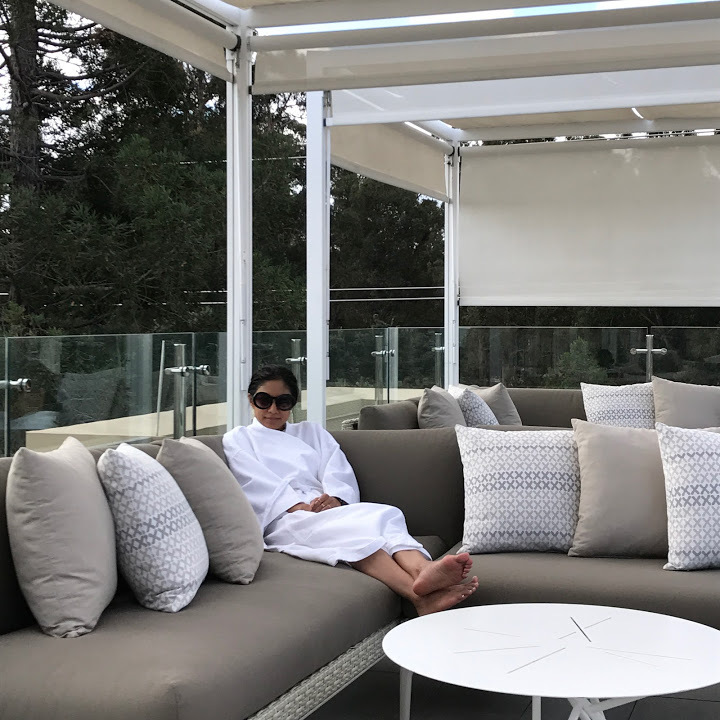 This past weekend, we had the privilege of staying at The Clement Hotel in Palo Alto. It’s a high-end, all-inclusive concept, with bottled water, snacks, drinks, wine (Hello Stag’s Leap! 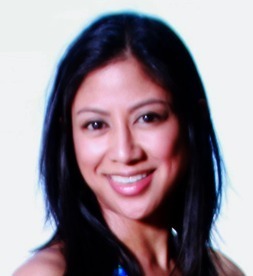 ), breakfast, lunch, dinner, valet parking, and gratuities included. 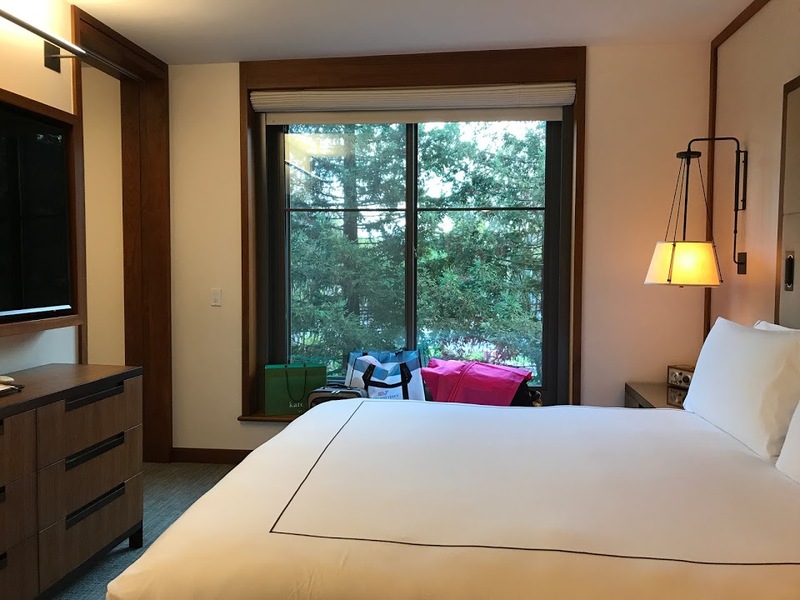 It’s unlike any hotel stay I’ve experienced. Before we checked in, Dean and I treated ourselves to the Stanford Shopping Center. It’s so rare that I walk into a store and actually try clothes on. I felt giddy! I picked up a silk tank on sale at Kate Spade and a pair of boots on sale at Macy’s. Consider me the bargain hunter. 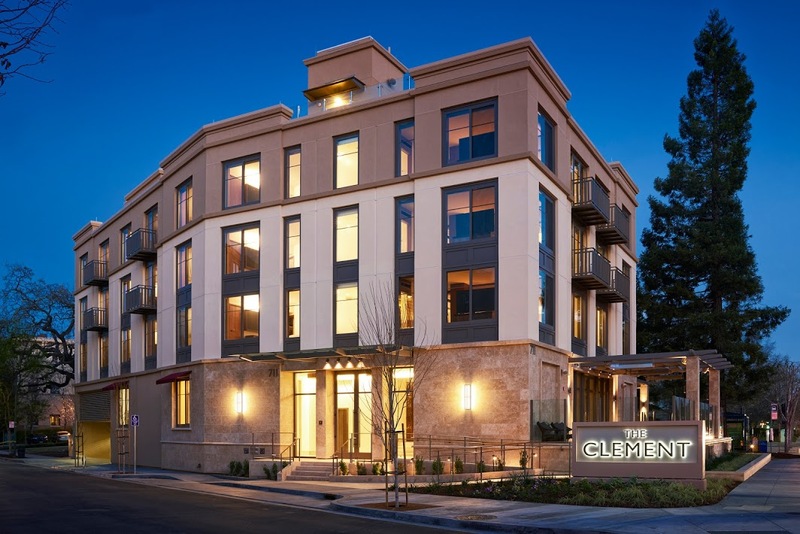 The Clement is in a prime location near the Stanford Shopping Center across from the Stanford campus. 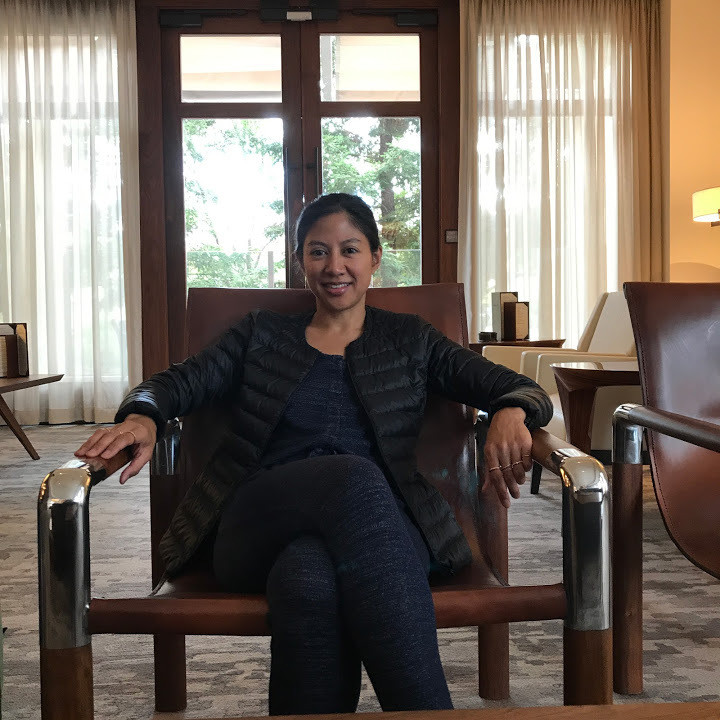 The hotel owner, Clement Chen, also owns the neighboring Westin, the Sheraton Palo Alto, and several other hotels in the Bay Area. 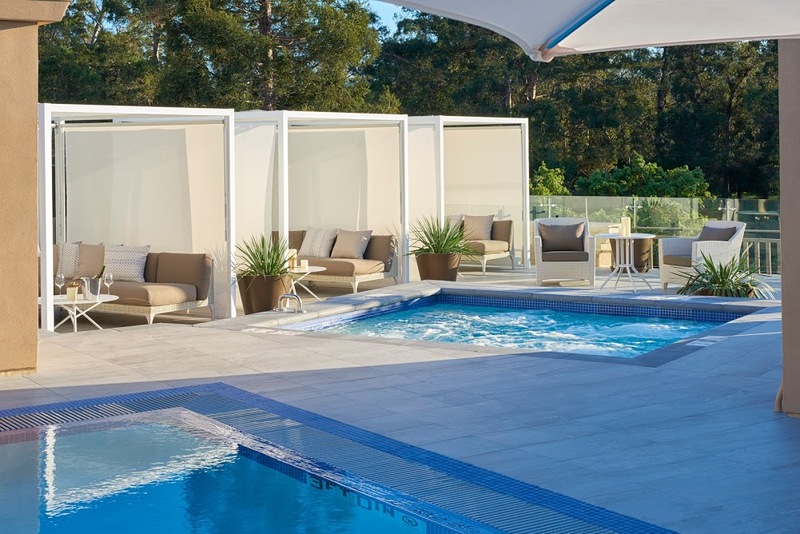 The Clement consists of only 23 suites, which provides privacy and pampering. There was always a concierge on-hand for whatever we needed. The defining quality is the service, which commenced the moment we pulled into the driveway: “Hello, Ms. Gacad?” How did they know?! It’s not like we were the only guests. 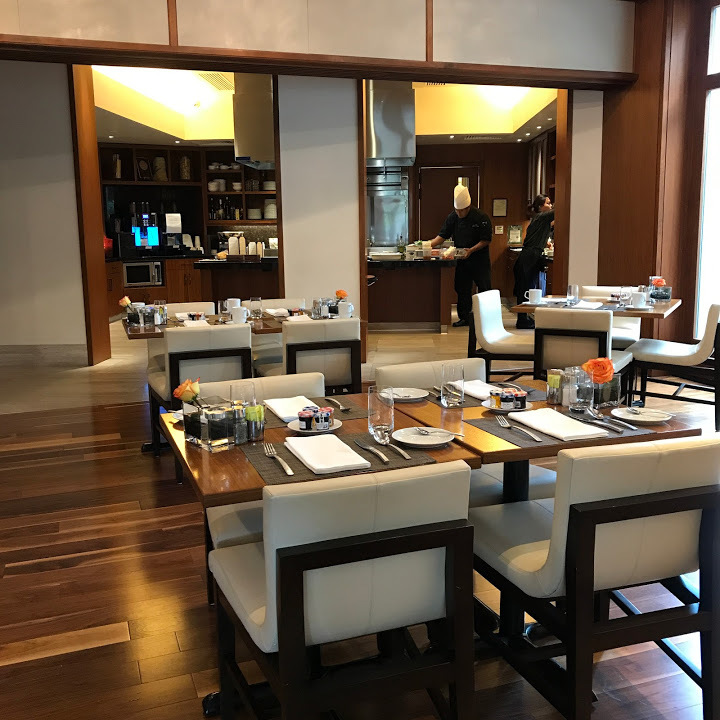 After checking in, the concierge gave us a tour of the hotel: the living room, the open kitchen stocked with drinks, fruit, cookies, pastries, ice-cream, the fitness center, the business center, and the rooftop pool, jacuzzi and cabanas. He walked us through our suite: stocked refrigerator, heated floors and TV in the bathroom. I later fell in love with the Toto toilet/bidet. Amazing! Two more highlights, then on to additional pictures. 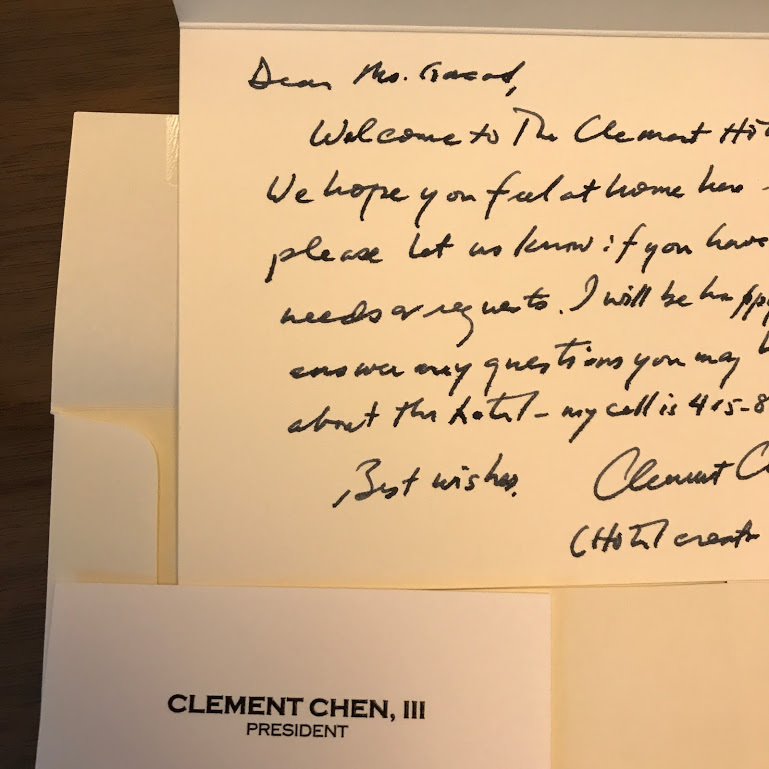 I almost cried when I read a handwritten card from the owner Clement Chen welcoming me to the hotel and providing his cell phone number–should I have any questions or concerns. Calling that customer service doesn’t even do it justice. It’s like high-touch, high-end, high-quality, good old-fashioned hospitality. Lastly, I came home with stationery personalized with my name! Clement, we shall return. It’s the perfect staycation. I guarantee it. 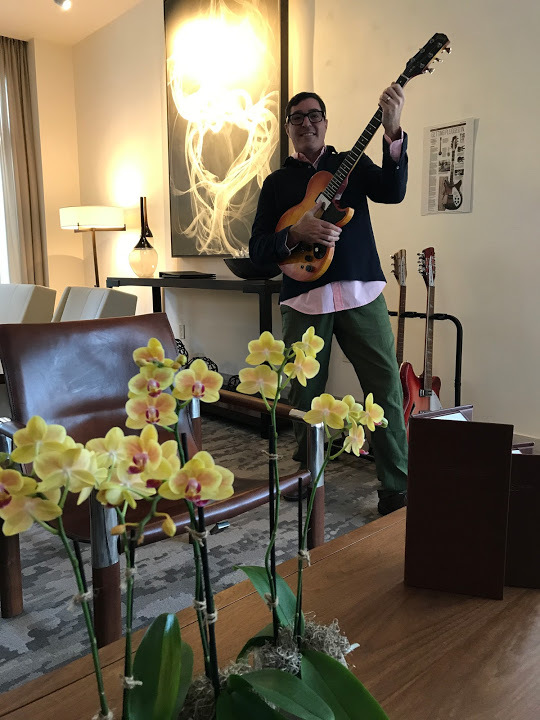 Thank you to the Clement Hotel for hosting our deliciously relaxing staycation. I promise we’ll be back. What a beautiful place. thanks for sharing. I love that last photo. You look so relaxed and ravishing. Yes, the handwritten letter with the owner’s person cell phone number! Unbelievable customer service.